The EE776 is a thermal mass flow meter dedicated for monitoring compressed air, nitrogen, CO2 or other non-corrosive and non-flammable gases. It can be employed in pipes from DN50 to DN700 (2″ to 28″) and at up to 16 bar (232 psi). The probe can only be moved in one direction during installation, and it cannot return at all, even if it is released. By means of an encapsulated O-ring, the pressurized gaz cannot leak during probe mounting. The precise positioning with respect to immersion depth and orientation is easy to perform, guaranteeing accurate measurement results. An optional ½” ball valve enables the installation and removal of the probe without interruption of the gas flow. 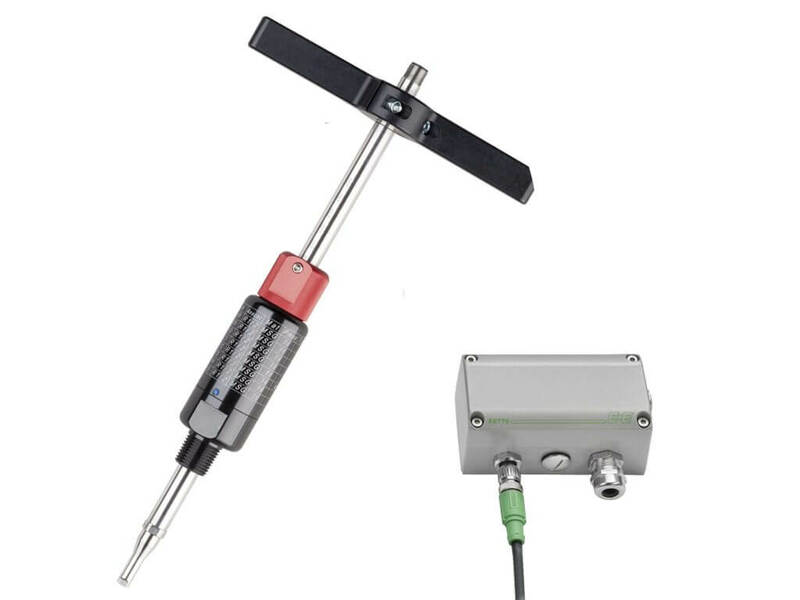 Every EE776 flow meter undergoes a precise factory calibration procedure at a pressure of 9 bar (130 psi), the corresponding calibration certificate is included in the standard scope of supply. EE776 features two outputs which can be configured as analogue (current or voltage), alarm or pulse output for consumption metering. The EE776 flow meter is available with an additional MODBUS RTU or M-BUS (Meter-Bus) interface.